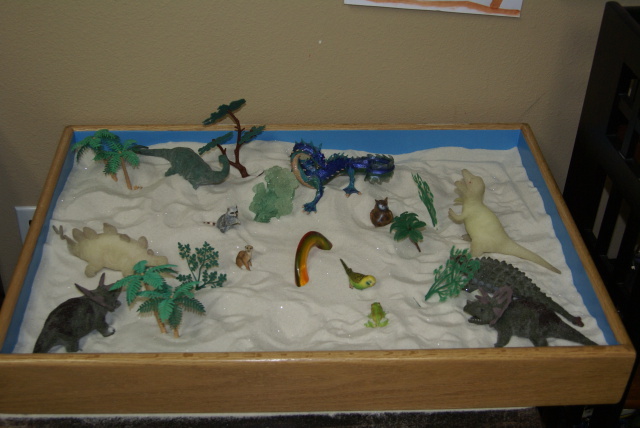 Sand Tray Therapy is a specialized type of Play Therapy that can be used by children, adolescents, and entire families. 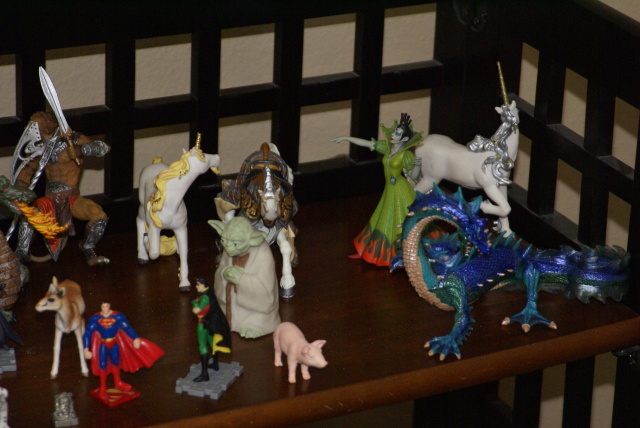 My office is equipped with an extensive collection of miniature objects. 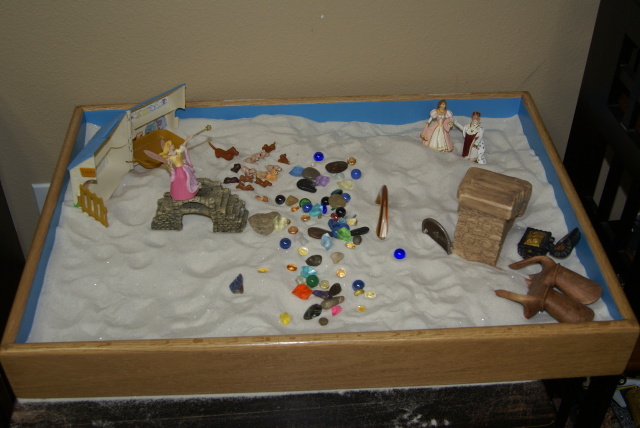 Clients create their own stories in the Sand Tray by placing non-threatening miniature objects that represent things that are impacting them or are important in their life. Clients build any story they want - such as the one below – there is no right or wrong way to play. Why use Sand Tray Therapy? 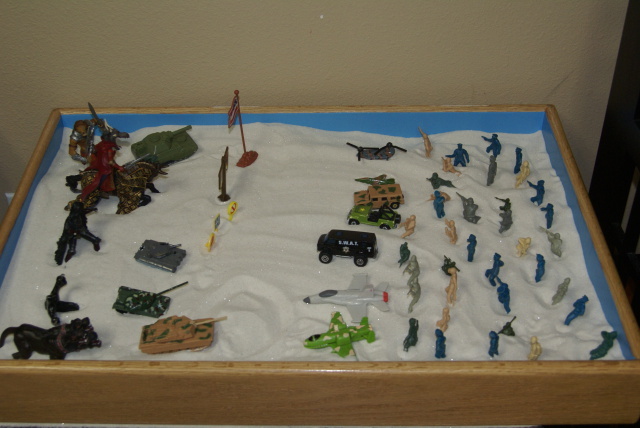 The Sand Tray is another technique that children release their emotions, just as in Play Therapy, in a safe and non-threatening manner. By creating a story in the sand, the client is able to release emotions, feelings, and conflicts that are affecting them without having to actually verbalize their feelings. The sand tray provides a playful, non-threatening environment to bring about self-awareness. 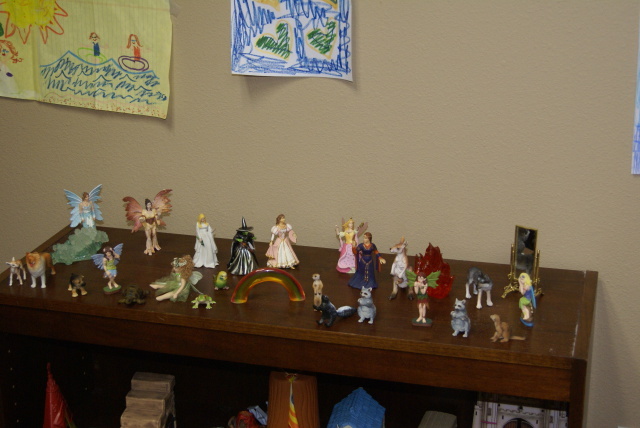 The Therapist acts as a facilitator to guide the process. 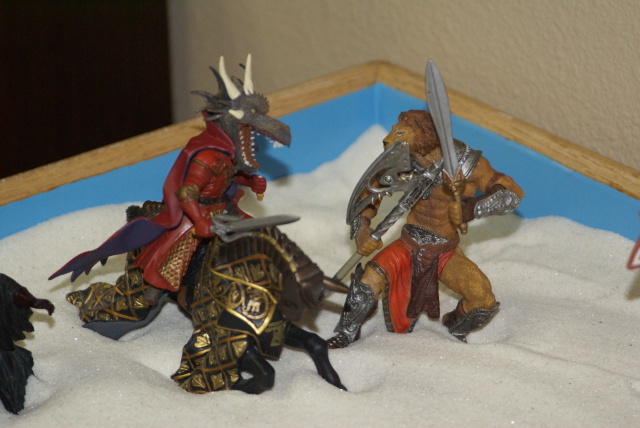 Most people, especially children, enjoy sand play, as they can create and tell their own stories in a safe environment.